Design, production, client coordination, manufacturer coordination, retailer coordination. 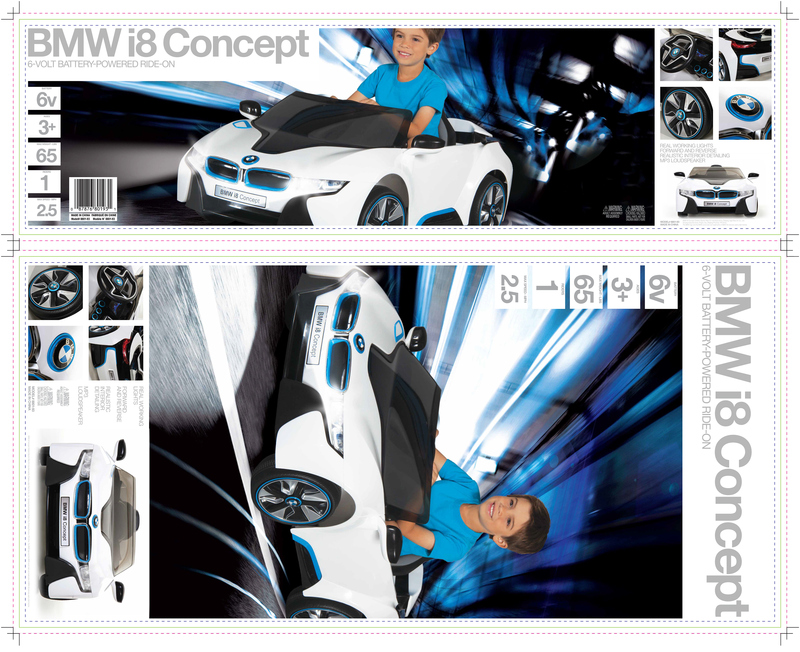 Package design included tight coordination with BMW, and contractor to design and produce full litho wrap label for corrugated product shipper and shelf visibility. Package designed to retailer display shelf/warehouse specification so product can be viewed and shelved horizontally or vertically. English and French versions for Fred Meyer, Walmart, and other retailers. Brand coordination with BMW. Box specification coordination with various retailerst and contractor. Mechanical specification with printer in China. All design, production.